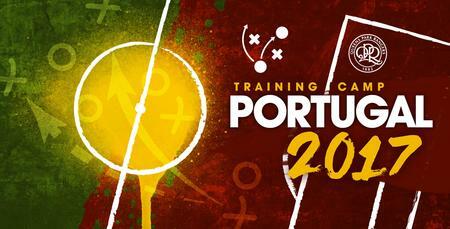 QPR boss Ian Holloway has named a 24-man squad for our pre-season training camp to Portugal. The Hoops head to the Algarve this afternoon for a week-long camp at the Cascade Wellness & Lifestyle Resort in Lagos, as the countdown to the 2017/18 campaign continues. Holloway has named three goalkeepers in his squad, with last season's Player of the Year Alex Smithies joined by Matt Ingram and Joe Lumley, who impressed whilst on loan at Bristol Rovers during the second half of last season. The defenders comprise of Jake Bidwell, Darnell Furlong, Grant Hall, Niko Hamalainen, Osman Kakay, Joel Lynch, Nedum Onuoha, James Perch and Jack Robinson. Fit-again Jordan Cousins is joined by fellow midfielders Luke Freeman, Sean Goss, Ryan Manning, Josh Bowler and Yeni Ngbakoto, with Ebere Eze, Reece Grego-Cox, Jamie Mackie, Matt Smith, Idrissa Sylla and Conor Washington completing the squad. Pawel Wszolek, Massimo Luongo and Michael Petrasso miss owing to their international commitments.